Playa Grande is located in the north of Guanacaste, Costa Rica. And it is a part of the Marino Las Baulas National Park. Playa Grande is a public beach, but highly protected because it is a nesting site of the leatherback turtles. Famous for three things: the leatherback turtles, for the fantastic waves to surf and for word class fishing. 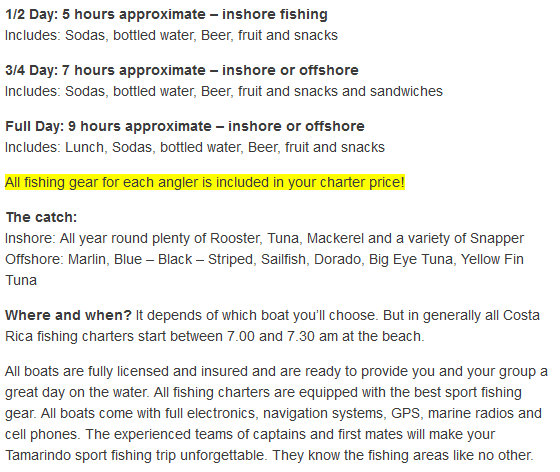 In other words, you will have the very best deep sea fishing Playa Grande trip! 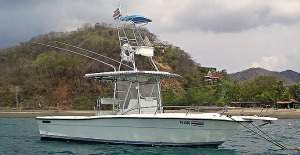 In Playa Grande we offer the fishing tours with the best licensed captains from Playa Flamingo and Tamarindo. 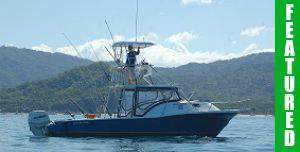 All the captains have great experience fishing in Playa Grande Costa Rica. Of course, we pick you up. 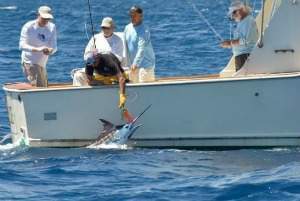 Our Playa Grande Costa Rica fishing charters provide a high quality fishing experience for people of all ages. Safety equipment includes VHF radios, cell phones, flares, anchors and of course life jackets. To guarantee your fishing date(s) a reservation is required. FREE cancellation up to 30 days before fishing date(s). Do you have questions before booking a charter? Send us an email (at info @ villathoga.com) or use our Contact Us page. After receiving your reservation we will send you a confirmation email and further confirmation. 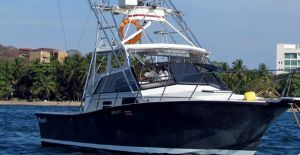 29 ft Dusky – Up to 4 persons | Prices are per boat not per angler! 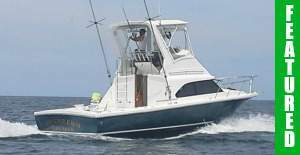 31 ft Phoenix USA – Up to 5 persons | Prices are per boat not per angler! 32 ft Blackfin – Up to 6 persons | Prices are per boat not per angler! 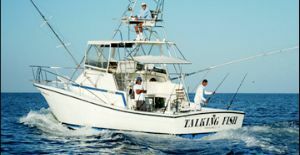 27 ft Mako – Up to 6 persons | Prices are per boat not per angler! 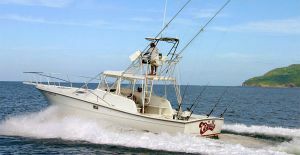 28 ft Carolina – Up to 4 persons | Prices are per boat not per angler! 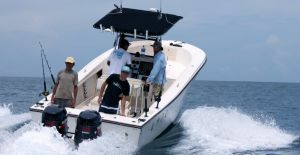 29 ft Persuit – Up to 4 persons | Prices are per boat not per angler! 31 ft Rampage – Up to 4 persons | Prices are per boat not per angler! 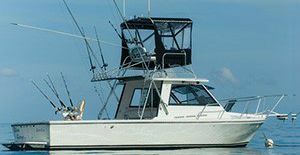 31 ft Island Hopper – Up to 5 persons | Prices are per boat not per angler! 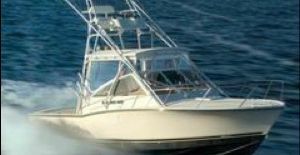 36 ft CR Custom Topaz – Up to 6 persons | Prices are per boat not per angler! 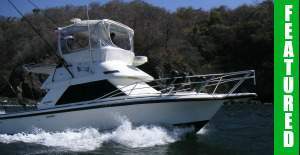 38 ft CR Topaz Express – Up to 7 persons | Prices are per boat not per angler! Playa Grande is a ideal stay for families. 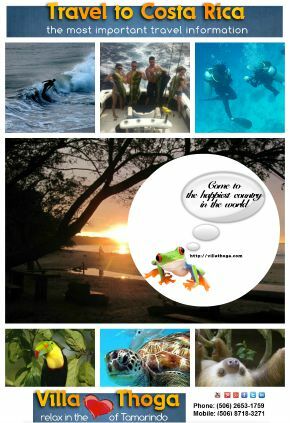 You have a beautiful beach, a few restaurants, hotels and a variety of different vacation rentals. But for the real good restaurants or nightlife you have to go to Tamarindo. If you currently nothing booked in Playa Grande, i highly recommend you check out Playa Tamarindo.